It all started nine years ago, when Paul Brakke, based in Little Rock, Arkansas, first wrote about his wife’s nightmare encounter with a criminal justice system two years before. She was threatened with 16 years in jail due to the false claims of some neighborhood kids that she tried to run them down because they didn’t like her. This incident led to his first book American Justice? which was published in 2016 featuring her story and a look at injustices in the criminal justice system. These included out of control prosecutors, judges behaving badly, and a prison system unfairly skewed against minority group members. 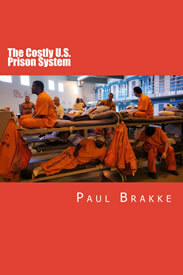 Now eight books later, Brakke has become a criminal justice expert and American social critic from a critical perspective, and he has written extensively on what’s wrong with the criminal justice system and the divisive split in American society. In the past year, he has been taking his message to a growing number of media outlets, as well as the social media. A YouTube channel with over 70 videos features highlights from his book. Additionally, he has been taking his message to hundreds of members of the House and Senate and state governments. As a result, a growing number of media outlets have been paying attention. 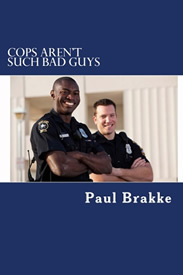 On TV, Brakke has been a guest on several talk and news shows on ABC, CBS, and NBC affiliates in the South, including CBS in Tupelo, Mississippi; NBC in Monroe, Louisiana; and ABC in Meridian, Mississippi; Lubbock, Texas; and San Angelo, Texas. His growing radio appearances have included The Schilling Show, the Frank Truatt Morning Show, and Libertywatch Radio. While his initial appearances have been largely on Southern broadcast outlets, now he is building on these appearances to line up even more media outlets in 2019 with his message of fixing the criminal justice system and the divisiveness in American from a conservative perspective. At the same time, Brakke’s weekly blasts to the media have gained 19,000 engagements in the past six months, which include approximately 2000 newspapers, 2000 magazines, 2000 radio programs, 4000 TV programs and stations, and 3000 radio programs. The major areas of interest at the media have included politics, general assignment news, law, and public affairs. So clearly, his message has been gaining growing support in the traditional media. In addition, Brakke has engaged in a social media campaign for nearly 40 weeks, with posts five times a week each week on the big four of social media platforms — Facebook, LinkedIn, Twitter, and Instagram. Among some of Brakke’s suggestions are using the military’s success in creating racially desegregated teams as a model to follow, reducing illegal immigration by providing incentives to stay in Mexico, or creating a pathway to legal, non-voting status for current illegal immigrants. Another series of videos feature the claims and concerns of white Americans and illustrate how they feel disrespected and mistreated by the left and media, since they are losing power and status in America today. And now Brakke is bringing his campaign for criminal justice and social reform to key government officials in Congress and in state government. To this end, he has been sending officials, including Senators Lindsay Graham and Mitch McConnell, copies of his recently published book Crime in America, which summarize his research and findings in the key arenas of criminal justice — the police, courts, and prisons. Also, the book examines what to do about the opioid crisis, illegal immigration, and the divisions in America. 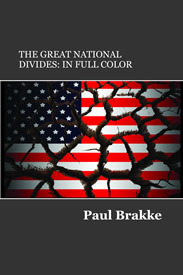 In his latest book: Fractured America, he considers how to deal with the major divisions in America based on race, ethnicity, gender, social class, and the North-South, Urban-Rural, and Middle-America/Coasts divides. A forthcoming book, “Uncertain Justice”, provides his perspective on the latest controversies in America, including over prisons, police killings, and the debate about building of a wall on the American Southern border. Though Brakke is just one individual, he has set as his mission a determination to draw attention to the discrimination that exists in the American justice system so it can be improved.